Contact us today to make a reservation or learn more about Moosehead Lake Maine! 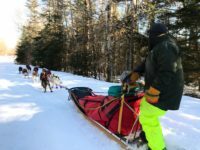 Dogsledding: Races, Kennel Tours and Mushing your own team! © 2019 Tomhegan Wilderness Cabins / Website design by: Barry Costa, LLC.